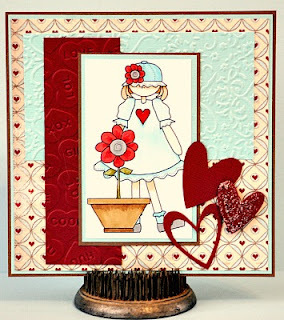 Isn't she lovely......isn't she wonderful.......I've got that song in my head, cuz I just found myself humming that song while I was making this card. I've used the stamp called Sally and it's available at the Stitchybear! Digital Stamps Store. 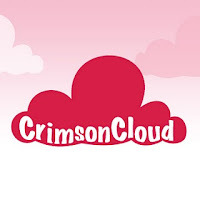 We are sponsored by Crimson Cloud and this we are to create around the theme of 'with love'. Be sure to visit the One Stitch At A Time's blog to see all the DT's creations and to enter yourself. Gorgeous! I love the contrast between the red and the pale pastels! Awesome design Janet, love it! Super card Janet! Love the heart embossed piece! Lovely card! Thanks for sharing with us at My Sheri Crafts! Thanks for playing at CMC! Hope to see you back again soon! I love this! Thank you for joining us @ My Sheri Crafts this week!